Enjoy the sights on the way to the heliport. Once on board the exhilarating adventure begins. Musical background accompanies spontaneous narration by your professionally trained pilot. 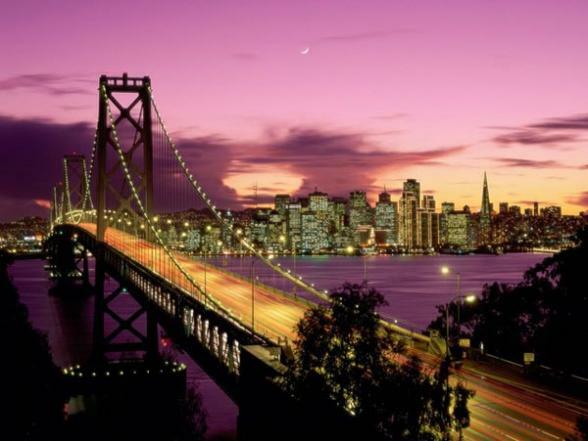 See the famous hills of San Francisco and the striking cityscape. 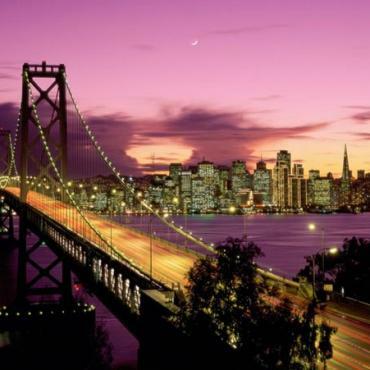 Take in well-known landmarks, such as Alcatraz Island and the spectacular bridges spanning the Bay. Upon landing, the shuttle drops guests for boarding on the yacht where delightful views of San Francisco from the water await. Savor an elegant dinner, enjoy the music and stroll the outer decks. Departure Times: Between 3pm - 5.30pm depending on date booked. Tour is unavailable on Tuesdays and Wednesdays. Shuttle service available…from Union Square (Hilton/Mason St. entrance), Nob Hill (Fairmont) and Fisherman’s Wharf (Pier 39/Taxi stand). PLEASE NOTE - No shorts, trainers or jeans allowed on this tour. Prices from £233.00 per person (No child reductions).